The dog days of summer have descended over wide areas of the U.S., with a month and a half of blistering temperatures likely still head. If you are fortunate enough to live in an air-conditioned home, you may notice that appliance is running nearly non-stop, running up quite an electric bill. There are a few simple, low-cost/no-cost things you can do to reduce the expense. For one thing, a programmable thermostat will keep the house comfortable when you're there and let it heat up a bit when you're gone. That works best, however, if you have a regular schedule. But if no one is at home for eight hours a day, Monday through Friday, there's no reason to keep the temperature the same. 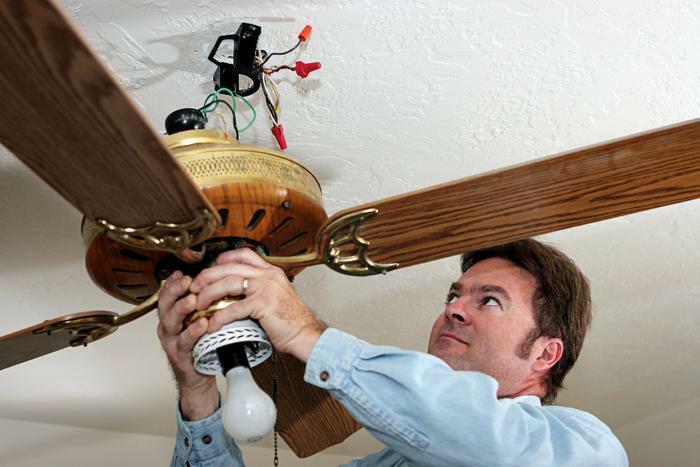 Ceiling fans will also make a room feel more comfortable during hot weather. The fans don't lower the temperature, they simply increase the wind-chill. The air movement across your body has a cooling effect. However, when no one is at home, there's no reason to keep running the fans. It is only using electricity. Unless it's just unbearably hot -- and in some places, it is -- consider turning off the air conditioner at night and raising windows, to take advantage of natural ventilation. The Department of Energy (DOE) says natural ventilation can create a "chimney effect" that will help keep a home cooler, naturally. But natural ventilation isn't going to be an answer everywhere. It works best in climates with cool nights and regular breezes. When you do operate your air conditioner, you'll save money if it runs at peak performance. DOE suggests regular maintenance by an HVAC to keep the equipment running efficiently. You can help, however, by simply changing the filter on a regular basis. In older homes, it pays to inspect your ductwork, assuming there are places where it's exposed. As ducts age, leaks may develop around the joints. You can buy duct insulation for just a few dollars at Lowe's or Home Depot and install it yourself. Just wrap the insulation around the ducts and tape it in place with duct tape. A colleague did this recently and report a vast improvement in cool air reaching the home's top floor. Bankrate.com recently pointed out that consumers can run up their electric bill -- or at least make it higher than necessary -- by falling victim to "vampire power." That refers to devices that use electricity when they're plugged in, but not running. You can recognize a "vampire power" appliance if it has a clock, or some kind of light that is on, even when the appliance is turned off. Unplugging these appliances when they aren't in use might only save a little, but every little bit helps. And depending on where you live, your electric company may have more specific advice. In the case of Duke Energy Florida, the utility offers free home energy checks to show customers how they can cut energy usage and reduce their bills.